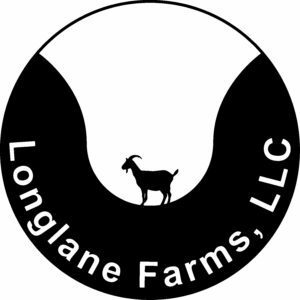 Description: Longlane Farms was borne of a desire to prove that agriculture doesn't have to take place on a thousand acre farm, in a renovated factory, or across the country or the world. Our food can be fresh, high quality, and highly nutritious, while also being sustainable and locally produced. First and foremost, we live here. Our practices have immediate consequences and long-ranging impacts. We try not to do anything today that our children will have to pay for tomorrow. We market our eggs, our goat meat, and our on-farm experiences to ensure economic viability, but we also enjoy the experience of sharing what we've learned. Our farm features on-going agricultural interests (i.e., eggs and goats for the meat market) as well as experimental, small-scale operations (i.e., aquaponics, stump-mushrooms, passive agricultural sites, etc.). Longlane Farm has a tale to tell, and we look forward to sharing it with anyone interested. Forty Plymouth Rock laying hens from Ideal Poultry call Longlane Farms home. Our hens live in a custom coop on wheels that moves with the goats as we rotate them through our pastures. In addition to keeping the goats company, they keep the pastures pest free, help keep soil nutrients high, and provide high omega-3 brown eggs for our kitchen and our neighbors. Our South Carolina Department of Agriculture Egg License is #1553. We're proud to have partnered with Quick's Run Kikos to ensure that we have exceptional genetics in our goatherd. Though we raise our goats for the meat market, we pride ourselves on their happiness and health. We believe that the lives that our animals live are a direct reflection of who we are. Our goats live in open pastures with movable custom hutches and movable watering stations. We've partnered with Northwest Meat Center to ensure the most humane processing available, the very best processing, and the highest quality meat products. Our farm has been in the family for many generations. Our task is to take care of it, leave it better than we found it, and share with others the beauty and wonder to be found even on the smallest family-run farm. As we grow, we'll be offering experiences to the public that will feature sustainable agricultural practices, innovative agricultural solutions, and escape from urban centers and the daily grind.